Are you looking for an interesting topic for your bachelor or master thesis? Are you interested in a summer internship? 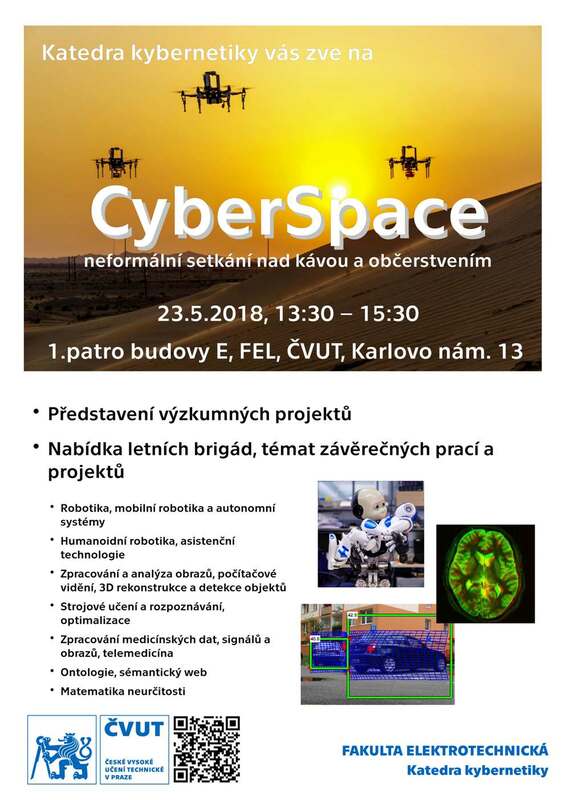 Department of Cybernetics invites you to CyberSpace, an informal meeting with coffee and refreshments, where we present some of the projects we work on and where you can take part, either as an intern, or as part of your bachelor/diploma project. It is an excellent opportunity to meet in person your potential supervisors and team mates, and discuss the potential topics!